Patients with confirmed rheumatoid arthritis. The DAS Scores indicate how active a patient’s rheumatoid arthritis (RA) is currently, and can be trended over time. They were initially developed for comparing clinical trial results of RA drugs, but are now used as overall markers of disease activity. Recently a “treat to target” approach has been recommended: that a DAS score be frequently calculated until a patient’s score suggests disease remission, or to a particular ESR or CRP level. The DAS scores were simplified, previously using 44 joints for assessment, and now instead use 28. There is some degree of inter-rater variability in assessing the DAS scores, as different raters may classify a joint as swollen or tender to different degrees. The feet are not assessed in the DAS28 scores, since foot joint pains may be unrelated to RA activity (since we walk on our feet). Foot assessment, however, should still be considered in the patient’s broader gestalt, and foot complaints should obviously be considered and managed appropriately in RA patients. Recently a “treat to target” approach has been recommended: that a DAS score be calculated at frequent intervals while therapies are being given, until a patient’s score suggests disease remission, or to a particular ESR or CRP level. Tamhane A, Redden DT, McGwin G, et al. Comparison of the Disease Activity Score using Erythrocyte Sedimentation Rate and C-reactive Protein in African-Americans with Rheumatoid Arthritis. The Journal of rheumatology. 2013;40(11):1812-1822. doi:10.3899/jrheum.121225. Inoue E, Yamanaka H, Hara M, Tomatsu T, Kamatani N. Comparison of Disease Activity Score (DAS)28‐ erythrocyte sedimentation rate and DAS28‐ C‐reactive protein threshold values. Annals of the Rheumatic Diseases. 2007;66(3):407-409. doi:10.1136/ard.2006.054205. Hensor EMA, et al. Discrepancies in categorizing rheumatoid arthritis patients by DAS-28(ESR) and DAS-28(CRP): can they be reduced?Rheumatology (2010) 49 (8): 1521-1529 first published online April 30, 2010doi:10.1093/rheumatology/keq117 Khan NA, Spencer HJ, Abda EA, et al. Patient’s global assessment of disease activity and patient’s assessment of general health for rheumatoid arthritis activity assessment: are they equivalent? Annals of the rheumatic diseases. 2012;71(12):1942-1949. doi:10.1136/annrheumdis-2011-201142. 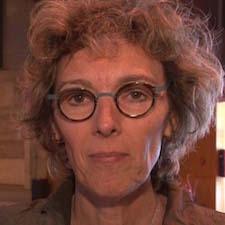 Désirée van der Heijde, MD, is a professor of rheumatology at Leiden University Medical Center, the Netherlands and is affiliated with Diakonhjemmet Hospital in Oslo, Norway. She founded the Assessment in SpondyloArthritis international Society (ASAS) in 1995. Dr. van der Heijde is a principal investigator for clinical trials focused on rheumatoid arthritis, psoriatic arthritis and axial spondyloarthritis.